Translate WordPress core, themes and plugins. Easy-peasy. Who said you need to know PHP to translate WordPress? Poedit Pro does all the heavy-lifting of understanding its inner works, so you can focus on making sure your translations are as accurate as possible. 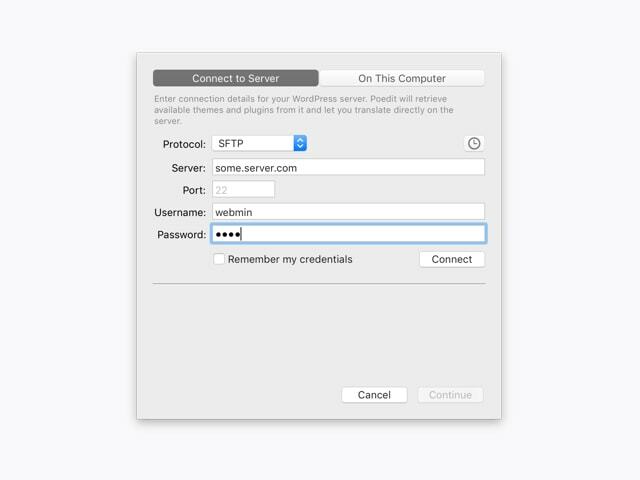 With FTP support, Poedit Pro can log in to your WordPress installation and do all the translation work remotely, so you don't have to download or upload anything. When you’re done, just hit Save to sync your changes. Poedit Pro works seamlessly with local code as well if that’s what you prefer, though. Just drop the plugin or theme on it. 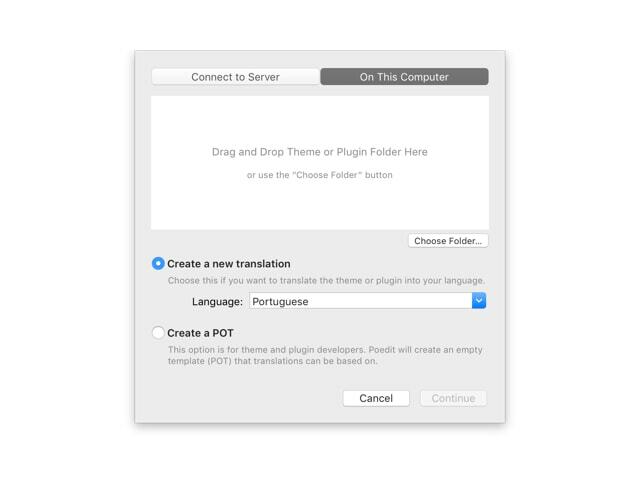 Poedit Pro will analyse it, find all translatable strings and create a PO file in the right place for you. Either way, you can start translating right away. I keep an eye on many popular projects to make sure Poedit can handle them well. In a very rare case where the app is unable to read your theme or plugin, I’ll personally fix its code for you a.s.a.p. There’s no need to repeat the work you’ve already done once; just drop your translation into an updated source code, click "Update" and continue translating only the new strings. With no prior knowledge of either PO file format, WordPress core, or PHP source code you’ll be able to jump in and translate all required components. No messing about with variables or expressions either.